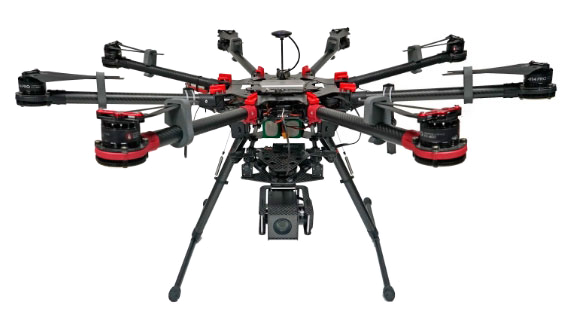 The USG-302 is s 3-axis gyro-stabilized gimbal with EO and IR sensors. 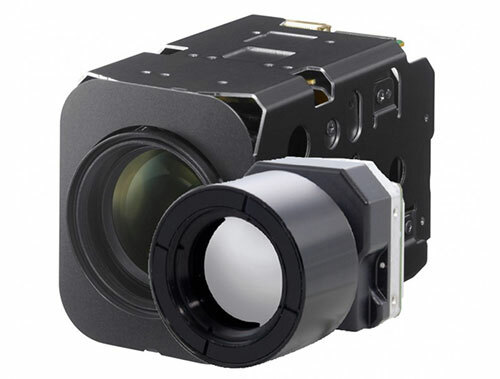 The daytime camera provides excellent video quality and high zoom capability. The thermal camera allows you to detect and recognize targets at night and low visibility situations, while the 3-axis gyro-stabilized gimbal provides superior image quality even on maximum zoom, compensating for any unwanted UAV movements and eliminating vibration from the aircraft. 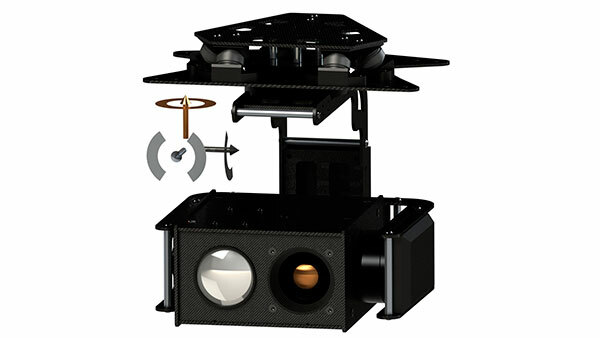 This gimbal will perfectly fit any VTOL drone or any other UAV. 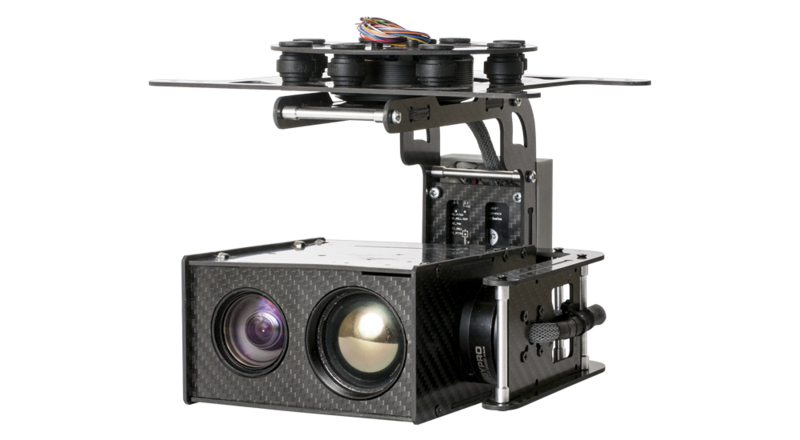 UKR Spec use high performance brushless engines, encoders and powerful 32-bits processor to ensure precise and accurate gyro-stabilization. On top of that they have anti-vibration damping mounting to reduce vibrations from the aircraft. These gimbals are fully compatible with popular off the shelf products such as DJI S1000 and Matrcie 600 multirotor platforms, DJI Lightbridge series of video transmitters, Amimon Connex Full HD video link. Thse gimbals can be controlled by most remote controls via S-BUS. All this together allows easy integration and operation of the gimbal with DJI and DIY solutions.